The web are getting wiser and wiser that equates directly to harder ranking and mostly failure to gain web utilization including traffics and readers. Search Engine Optimization (SEO) are moving in the way it is not used to be, internet marketeer are lured in some illegal ways just to have the traffic they wanted. So in this post we would be discussing on how we can turn our Blogger blogs to support the Do-Follow movement. Only precautions about turning your blog to support do-follow is it will attract some spammy comments but you can moderate it by changing some settings and publishing a comment guideline, i.e. the comment guideline just above the comment form of Bloggergeeze. 2. Go to Layout–>Edit HTML–>Expand Widget Templates. 4. Remove by deleting the rel='nofollow'. BloggerGeeze.com is a post/comment Do-Follow weblog, in return to your great comments you can insert your link on your COMMENT NAME, I suggest that you use Comment as: Name/URL with your targeted keywords and URL. You can also join the SEO do-follow list. 1.) Kindly avoid promotional/non-sense/unrelated comments this can be reason for deletion of your comments. 2.) Avoid telling “nice post”/”thanks for sharing”, kind like that. Kindly just read the post and tell something about it. Telling some facts/rumors or other info related to the post is well appreciated. 3.) Comments don’t follow the rules will be deleted. Just change the name of the blog above then go to Blogger Settings–>Comments then scroll down to “Comment Form Message” and paste your comment rules. If you wan to include a link you can do some HTML with it. Just let me know if you have any problem encountered during you implementation of this tutorial, you can contact me anytime via the comment or contact form. Thank you for telling steps to make a blog do follow. You are such a great seo knowledge person. Thanks for the idea given by you to create a new blog. It was a great help i got by visiting by your blog. Thanks for the idea how to create a new blog. It help me and other to create va new blog. The data is extremely helpful to my needs and i have find solution just after i implemented your ideas. Very interesting and informative article indeed. I have to admit that I always follow your website because it is full of various information about everything. Great Info .. Really impressive! Keep the Gud work Up! This is a big solution for me. I was also finding this. 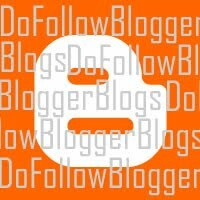 Your post gave me a good tip to make my blogger do-follow. Hope this would work. Thank a lot for sharing this great post.I obtained some useful imfomtation from here.Keep up you work. topic you have chosen. Really good stuff you have included in this article. This is a great tutorial. I understand what you said about spammy comments. I don’t use a captcha on my blog and I notice I get a lot of people searching for blogs without captcha. They insist on leaving their links when they know it’s going to be deleted. I have a blogger blog and there is currently no plug in to use for do-follow comments like with wordpress. Anyway, I put back the nofollow tags to avoid the spammy comments. I also a bit worried, if too much link spam in my blog, then it may hurt the reputation of my blog in Google’s eyes..
There’s some excellent information here. If more people were aware of this, the world would be a much happier place! This is amazingly helpful information! I am trying so hard to increase my comments and build a community and I can’t wait to try all of these tips. I do have a question – I use blogger, and am having trouble making my blog “Do Follow.” After I go to “Layout” I don’t know where to find “Edit html.” I realize this is probably very simple for most, and apologize for bothering you with ridiculous questions, but any help would be greatly appreciated! Thanks!! This is very helpful post. Can you please tell me what will be the benefit of dofollow blog in search engines?